Clinical introduction A right-hand dominant man was transferred to our institution for evaluation by the hand surgery service. He reported that the day prior he had been sliding a sheet of plywood across the ground when he lost his grip, causing the board to slide across his left hand. He presented to an outside hospital where local exploration of the wound did not reveal any foreign body. On arrival, he complained only of mild pain in his hand. Physical examination revealed erythema and swelling over the thenar eminence and a small open area without any drainage. 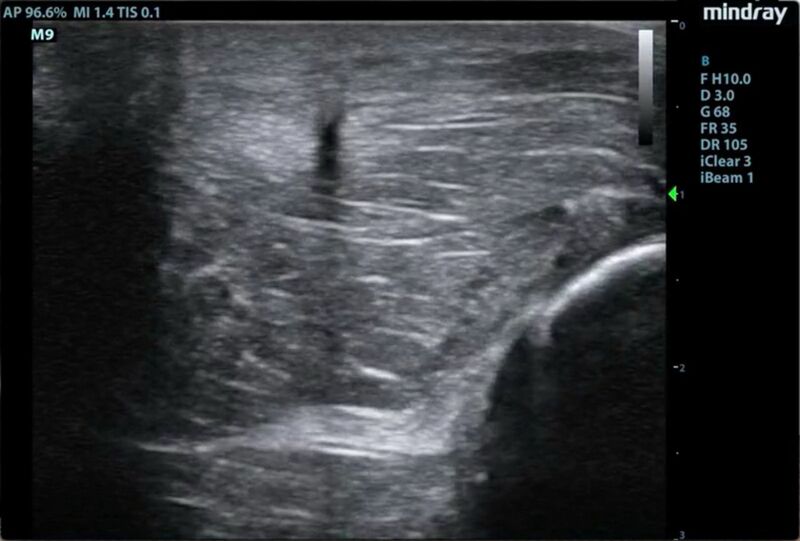 Radiographs (figure 1) and ultrasonography (figures 2 and 3, online supplementary video 1 and 2) were performed. Long-axis ultrasonography of the hand. 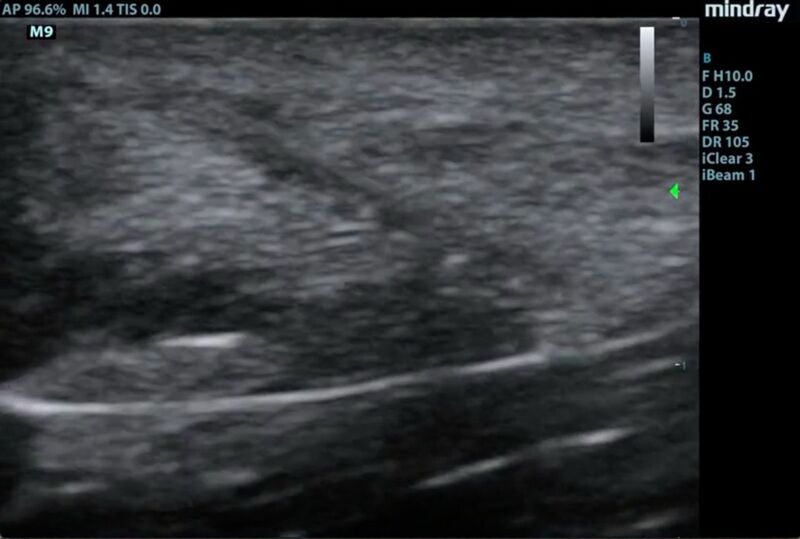 Short-axis ultrasonography of the hand. Question What is you diagnosis? 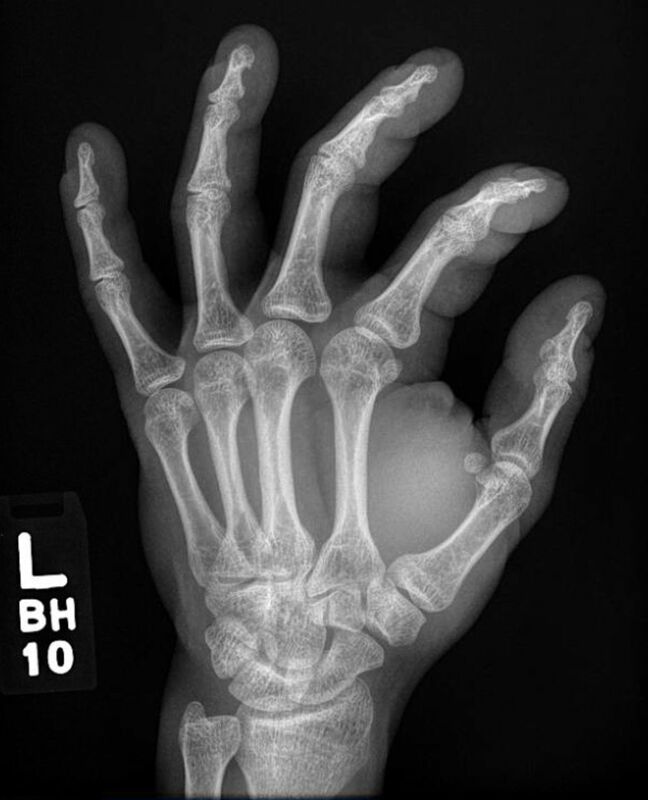 Fracture of the metacarpal of the thumb. Cellulitis of the thenar eminence. Abscess of the thenar eminence. Contributors PSJ wrote the manuscript. SJL and MES-K contributed intellectual content and revised the manuscript.